UNlLAM ink’series are modified PVB based inks developed for reverse printing 81 lamination. They are suitable for printing by Gravure and Fiexo processes on various films 81 lamination structures. 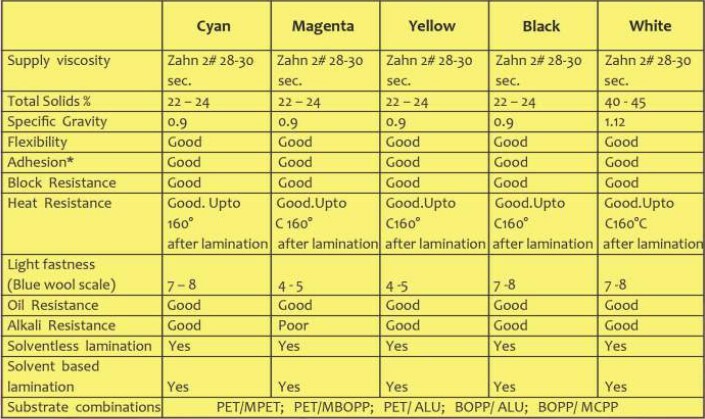 These inks provide good printability, good lamination bond strengths and low solvent retention. UNILAM inks are based on alcohol and ester solvents and free of any aromatic hydrocarbons & ketones. UNILAM White ink can be used as a universal White for backing most other ink systems.